Due to its rather famous reputation as a party city, somewhere perfect for stag and hen dos, and most definitely for the grown ups to let their hair down, Amsterdam may not be everyone’s first choice for a family holiday or short trip abroad. Don’t let this façade fool you though – although Amsterdam is undeniably the place where those who want to have good time head, it is not just about that – there are plenty of things for a family to do, and that will probably surprise you too. Here's my list of 5 family attractions in Amsterdam. 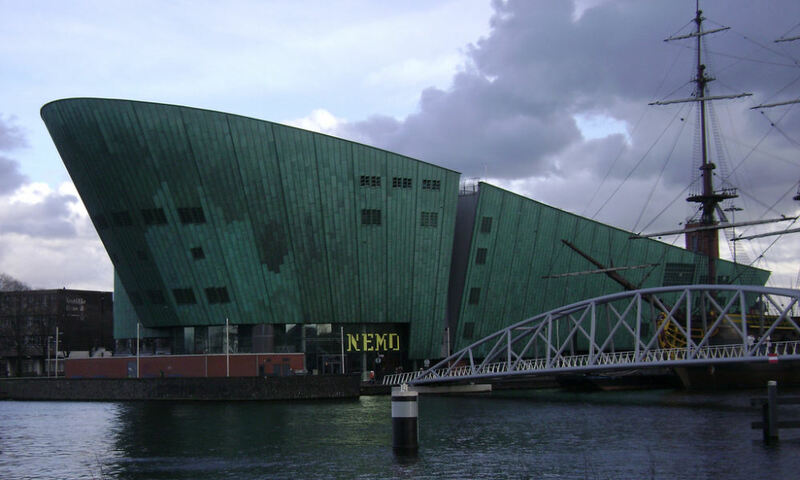 NEMO is a hands on, interactive, kid friendly science centre that allows (encourages) children and adults alike to get their hands dirty (sometimes literally) and play with the experiments that are all around. This is real learning, getting to grips with how the world works whilst having a brilliant time doing it. How does lightning work? How are bridges built? Why do we sometimes see imaginary things? All these questions and more are answered here. The building itself is pretty impressive too; it looks like a huge ship, and can’t be missed! The world renowned canals that encircle Amsterdam are not just for looking at (although that pastime is recommended too); they can be sailed along as well. There are a number of excellent canal cruises that take various routes around the city, and offer a fantastic commentary on the history of Amsterdam and the canals themselves. Your hotel will be able to recommend a good place to start, or pop to the nearest tourist information centre and book tickets there. Most of the cruises are ‘hop on hop off’ types, so you can stop at any attraction you like the look of along the way, and just join another cruise a little later on. Perfect! Although not open all year round, if you are visiting Amsterdam between April to October, you will want to try this fantastic attraction out. Every Sunday historic trams, or street cars as they are also known, run between Amsterdam and Amstevleen Bovenkerk, using a track that has been in existence for 100 years. Everything is vintage, including the conductors’ uniforms and ticket machines, and this 7 kilometre route is lined with beautiful things to see, and great restaurants to try. It’s not often you will get a chance to ride an original old tram on its original old line, so grab the opportunity when you can! Artis Zoo has something for all ages. There are hundreds of animals to enjoy, including a superb insect area and butterfly tent, adventure playgrounds to run around in, a planetarium, and an aquarium, and some great cafés to reboot after expending all that energy. There are also beautiful gardens within the grounds, and these are perfect for strolling around when you need a break from the other activities on offer. You can even book a guided tour to really make the most of your time there, and ensure you don’t miss anything (but be aware – these must be booked at least 4 week in advance of your visit). Everyone loves a waxwork, especially when they are as good as the ones in the well known and well loved Madame Tussauds. Just like its London counterpart, this museum is home to hundreds of lifelike wax statues of the rich and famous. From film stars to rock stars, scientists to sporting heroes, this is pop culture at its finest. Enjoy a mini cruise break to Amsterdam.